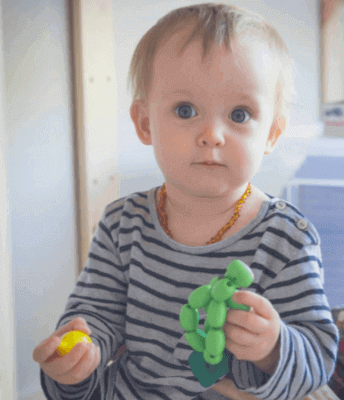 Set of 140 items. 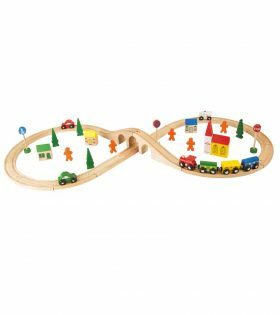 This versatile wooden train set guarantees hours of fun and games. Robust wooden tracks and points make sure that the trains always reach their destination safely. Trees and different buildings made of wood round off the landscape. 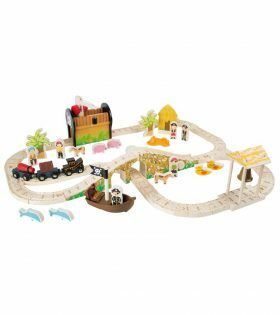 An elaborate wooden pirate island railway set built up of 62 parts including carriages and a treasure chest. 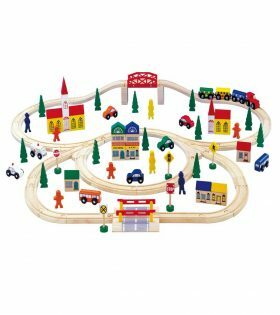 This wooden railway set brings together planning and fun with its criss-crossing tracks and various accessories. 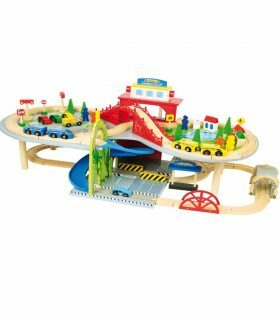 Wooden Railway set with 100 pieces of assorted accessories and rails that can be combined with other railway tracks. 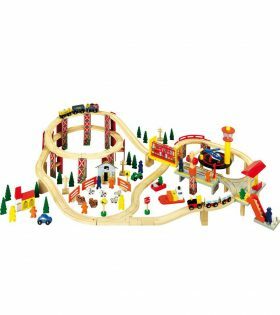 An intricate wooden railway set consisting of 101 pieces with various accessories and interchangeable track pieces. 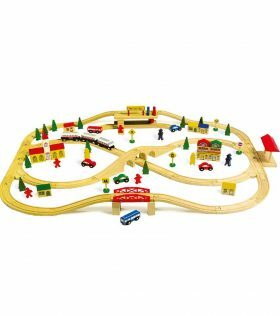 Wooden railway set with 51 pieces of assorted accessories and rails that can be combined with other railway tracks.